last season's game at Timmons Arena. Photo courtesy of Furman. After winning at Chattanooga Wednesday for the first time in his seven years on the Furman men's basketball coaching staff, first-year head coach Bob Richey goes on a similar quest Saturday. The Paladins are set for a 7 p.m. showdown at Wofford, seeking their first win in Spartanburg since the 2010-11 season. 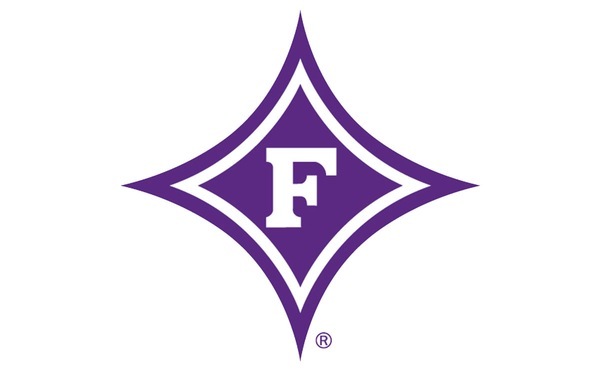 Furman (13-4, 4-0 Southern Conference) will be going for its first 5-0 start in SoCon play since the 1979-80 season, when the Paladins won their first 11 SoCon games - and made their last trip to the NCAA Tournament. Furman enters having won 9 of its last 10 games, while Wofford (11-5, 2-1) has won 8 of its last 9, including wins over North Carolina and Georgia Tech. This will be the Paladins first trip to Wofford's beautiful new Richardson Indoor Stadium and the atmosphere should be electric. As of Friday afternoon, only balcony tickets were still available. The Terriers have won eight consecutive games at home since opening the facility with a loss to South Carolina. There are some key matchups that should factor into Saturday's game. Thinking of Furman and Wofford, the first two players likely to come to mind are the prolific scoring guards for each team. Furman's Devin Sibley is the reigning SoCon Player of the Year. He's currently fourth in the SoCon in scoring at 15.2 points per game. Sibley has made a team-high 35 3-pointers this year and is one of three Paladins shooting over 40 percent from beyond the arc. While Sibley's the preseason favorite to repeat as the league's Player of the Year, Wofford's Fletcher Magee may be the early season favorite. Magee leads the SoCon and ranks ninth nationally at 23 points per game. Magee is fourth in the country in 3-point percentage (52.2) and No. 2 in free throw percentage (97.9). Perhaps the most intriguing matchup could come down low Saturday. The similarities between Furman's Matt Rafferty and Wofford's Cam Jackson are striking. While neither may get the kind of attention Sibley and Magee deservedly receive, the 6-foot-8 juniors are vital parts of their respective teams. With the amount of talented guards in the SoCon, it's pretty remarkable that Jackson and Rafferty rank 1-2 in steals. Jackson averages 2.1 per game, while Rafferty is tied with teammate John Davis and ETSU's Desonta Bradford at 1.7. Rafferty's guard-like abilities extend beyond steals though. Despite having three turnovers Wednesday at UTC, Rafferty still easily leads the SoCon in assist-to-turnover ratio at 3.0. That ranks No. 22 nationally. Among the top 117 players in the country in that category, Rafferty is the only one taller than 6-5. Rafferty has also knocked down 9-of-21 (42.9 percent) 3-pointers. So what happens if Sibley-Magee and Rafferty-Jackson sort of all cancel each other out? Both Furman and Wofford have others who've shown the ability to step up when needed. 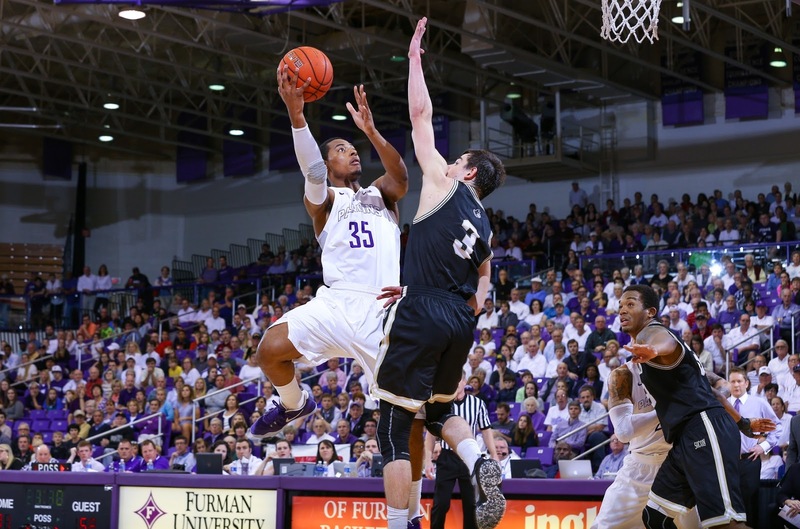 Daniel Fowler was the hero in Furman's lone close SoCon game, with 21 points in a 74-71 win over Mercer last Saturday. Fowler's averaging 11.9 points per game, while Davis is scoring 11.5 per game. Also for the Paladins, reserve Jordan Lyons' game has elevated as he's averaged 13.8 points per game and made 13-of-28 (46.4 percent) 3-pointers in SoCon play. Meanwhile, Andrew Brown is coming off a 16-point performance at UTC in which the usual perimeter shooter put on an impressive display of driving to the basket. For Wofford, sophomore Trevor Stumpe is averaging 17 points and 5.3 rebounds per game in three SoCon games. Freshman Storm Murphy has done a solid job thus far of filling the huge shoes of graduated point guard Eric Garcia. As always, defense will be a key for Furman. Deflections leading to steals leading to offense have led to some large runs in each of the Paladins' league games thus far. Defending the perimeter will obviously be a key Saturday night. A total of nine Wofford players are shooting at least 35.1 percent from beyond the arc, and seven Terriers are shooting at least 40.4 percent. Wofford ranks No. 2 nationally in 3-point shooting at 44.8 percent.